Hello! and welcome to my template guide for making your own guides on Smitefire. My name is Zilby, and I have made quite a few guides on this site. People have generally found my formatting/bbcoding for guides to be one of the easiest to utilize and produce a guide with, so I thought I'd share some of it here as well as some basic information regarding what should and should not go into each section. So let's begin! Every god guide consists of one or more builds, each with item purchase orders and a corresponding skill order in its header. The body consists of several sections called 'chapters'. A primary 6 item build, and a couple alternative 6 item builds for different situations. A core item build consisting of 3-5 items that you always build and several options for the other item choices, sometimes with alternate core items as well. And finally I'll usually have another item purchase order for my choice of actives AKA relics. For chapters, there are several chapters that are essential, and a few that are accessory, but are very nice to add. I'll list them here, and go into further detail and templates below. Introduction: This section introduces the reader to your guide and tells the reader any essential information that you need to communicate before they read the rest of your guide. Eg: if you're writing a wacky Assault guide with a non-meta build, you should tell the reader that in the introduction so they don't falsely assume that you're making a serious ranked Conquest guide. Skills: This section is used to teach the reader about a god's passive and skills. What they do, how to use them and any additional information that you find helpful. Avoid repeating information that can be found by mousing over a skill eg: Whirlpool. The reader can easily get that information from a link like that or an icon, so copying it into text is a waste of your and their time. *Note: This section is not required if you're only doing a build guide. Items: This section is used to explain your item choices for your build to the reader. Item builds are only truly useful if the reader understands your decisions behind them. Explain why you choose Warrior Tabi over Ninja Tabi, when to use Chronos' Pendant rather than Breastplate of Valor, why you built Obsidian Shard before Rod of Tahuti, etc, etc. If you find it useful, you can also divide this section into several if you want to discuss different builds separately, just do what you think makes the most sense. As is the same with the skills section, avoid repeating information about an item that can be found by mousing over a database link. Gameplay: You should have at least one section discussing how to play the god, this IS a god guide after all. You can have more than one section depending on how you decide to lay out your guide, I most often utilize Early Game, Mid Game and Late Game sections (as well as an occasional Team Fight section) to divide my gameplay into a more readable format. Conclusion: Some may not consider this essential, but I find it mandatory to have some sort of wrap-up and lasting thoughts on your guide at the end. It's a nice touch and really helps the guide feel complete. Stats: While most information can be found in Smitefire's databases, stats for each god cannot be found on the site, so it can be useful to have a section devoted to simply listing the stats for your god for the reader's reference. Pros / Cons: A pros & cons section can help the reader get an overview of your god at a glance, and can help them if they really only want to skim what you think a god excels at, and where they fall flat. Warding: Warding is an often overlooked part of smite, but for an in-depth guide, having a section devoted to warding can really help a lot with this aspect of gameplay. Match-ups: Having a match-ups section takes a very long time to create, but can be one of the most useful sections to readers that struggle with a particular match-up. Other Guides: If you have more than one guide, let your readers know and link them. Every new guide helps promote your older guides and if a reader liked one guide, they'll probably like your other ones too. You can of course add other chapters that you come up with to add more depth to your guide. The possibilities are endless! So, without further ado, here are some templates that I use when I go to construct a new guide. For my introductions, I use one of two different templates, a basic and a more complex one. For my basic, I'll use Artemis and for my more complex, I'll use Bellona. Welcome to my guide for Artemis, Goddess of the Hunt! I am a casual player who primarily plays conquest. 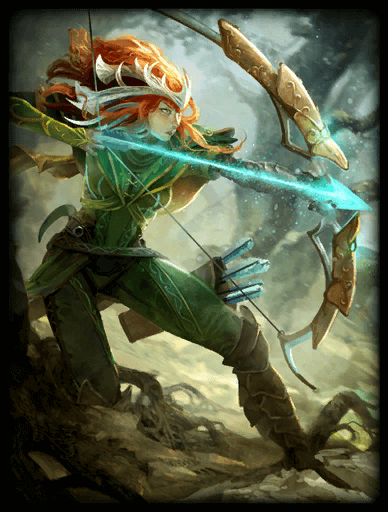 Artemis remains my favored adc by far, thus this is a guide for Artemis in the duo lane. Do note: there are two builds above. The first is for the Season 2 item set, while the second is in memory of Season 1. This is my fourth smitefire guide, and I intend to update it, so feel free to comment things that should be added/edited. Regardless, lets move on to the boar herder herself, Artemis! *Note: you can replace the name of the image ie: artemis.png with any other god to get their corresponding card art from the site. For stats I use one basic template, in this case I'll be using Sobek's. *Note: you may need to fiddle with the number of lines for the columns to line up correctly if one of your stats ends up causing a line break, this most often happening with irregular Progressions (I use transparent . 's to do this). For pros / cons I use one basic template, in this case I'll be using Chang'e's. *Note: you may need to fiddle with the number of lines for the columns to line up correctly, depending on whether you have more pros or cons (I use transparent . 's to do this). For my skills sections, I use one of two different templates, a basic and a more complex one that includes videos of each god's abilities (you can find a youtube video link for any god's abilities on their god page linked here). For my basic, I'll use Sobek and for my more complex, I'll use Chang'e. Blessing of the Nile simply provides protections upon successful basic attacks and abilities. Overall, it's a great passive for a tank and helps Sobek make up for his somewhat lackluster defensive stats. Charge Prey is an incredibly simple ability in concept, but incredibly diverse in application. This ability is Sobek's go-to engagement tool, charging the enemy and throwing them backwards towards your allies. You are then free to follow up with your other abilities as they try to get back into a favorable position. However, this isn't its only use. If enemies are engaging on a teammate, you can pull whoever is more dangerous away from them and give them some time to escape. You can also use it to escape yourself, either tossing people behind you or using it as a quick dash. This dash can also be useful for roaming around the map in a pinch (although it is mana consuming). However, this ability does have its downsides. It can be stopped by hitting an enemy minion or by hard CC, it can be difficult to land if the enemy is anticipating it and it leaves you vulnerable if you use it as an engage since you're left without an escape. I generally keep it on instant casting since it engages in a straight line and enemies tend to anticipate that you're about to use it if you take time aiming it whilst not using any basic attacks or abilities. Tail Whip is an essential part of Sobek's kit. Its knockup plays an important role both in his utility and play style. Generally this ability is best used in tandem with Charge Prey. If you hit an enemy and pull them, this ability can be used to hinder their retreat and deal some damage. If you're having trouble hitting an enemy because enemy minions are in the way, you can use this ability to smack them out of the way to get a clear line to engage. In the event that you miss while using Charge Prey, this ability is also great for disengaging and allowing you to make your escape. Finally this ability is also good for giving your ally some time to escape if you use it to knock up their attacker. Sickening Strike is an interesting ability. It deals damage in a semicircle, heals you and reduces enemy healing by 50%. Because of its decent damage and healing, I recommend leveling up Sickening Strike before Tail Whip since their damage difference is not very large and Sickening Strike gives you increased healing. I generally find that Sickening Strike is your best poking tool with its damage and healing reduction (since most adcs get their health back via lifesteal), but since you're usually so mana hungry during your early game, I would recommend only doing this if you need healing as well. Always make sure to hit at least 3 targets, otherwise you will not receive full healing. Additionally, this ability is the final part of your core combo ( Charge Prey -> Tail Whip -> Sickening Strike). Lurking In The Waters is the figurative icing on Sobek's cake. It's an incredibly ult that slows any enemies within its radius, makes you CC immune, restores your mana and deals a great amount of damage. It's generally best used to trap enemies out of position after using Charge Prey, but it can really be used at any time you want to hinder enemies' retreat or help your team in a teamfight. With maximum CDR, it also has a pretty short cooldown and can be used in a pinch to restore your mana and/or clear a minion wave. One important thing to note is that this ultimate is also your only form of CC immunity unless you buy Purification Beads or magi's blessing, making it useful for escaping ultimates like Ares' and enemy slows if needed. *Note: Ideally you should replace the hex color codes for each ability with something that matches your god. In this case, I used green since it matches Sobek. *Note: Ideally you should replace the hex color codes for each ability with something that matches your god. In this case, I used blue since it matches Chang'e. Remember, you can get youtube links to each of your god's abilities on their god page which can be found here. These are two basic templates for two items in an item section for Isis and Sobek respectively. Shoes of the Magi is my preferred choice for boots with this build. They provide needed movement speed, mana, and good magical power. This extra power helps boost your burst potential as a mage. Isis is a champion at building stacks. Her awesome waveclear can help you max out Warlock's Sash very early in the game, giving you a huge health and damage boost, as well as additional mana. However, do note that even with maximum farming, the earliest you can max out this item is 8.5 minutes after completion. [rule] [center][b][size=5][color=#FFEE5C]Item 1[/color][/size][/b][/center] [icon=shoes of the magi size=50] [[Shoes of the Magi]] is my preferred choice for boots with this build. They provide needed movement speed, mana, and good magical power. This extra power helps boost your burst potential as a mage. [rule] [center][b][size=5][color=#FFEE5C]Item 2[/color][/size][/b][/center] [icon=warlock's sash size=50] [[Isis]] is a champion at building stacks. Her awesome waveclear can help you max out [[Warlock's Sash]] very early in the game, giving you a huge health and damage boost, as well as additional mana. However, do note that even with maximum farming, the earliest you can max out this item is 8.5 minutes after completion. Mark of the Vanguard is great for providing some extra protections so that you can engage without worrying as much about taking too much damage. I typically prefer this over Watcher's Gift on Sobek since you want to have an aggressive early game. Shoes of Focus are my definitive choice for my first item. They provide decent magical power and an essential 15% CDR that is incredibly important so that you can engage as often as possible. Their movement speed is also important so that you can rotate more often to have the most utility to your team as possible. Because of their cheap price, Shoes of Focus always take my first priority over a tank item. [size=5][color=#00ff00]Starter[/color][/size] [table][tr][td bgcolor=#00ff00 padding=1 width=705][/td][/tr][/table] [icon=Mark of the Vanguard size=50] [[Mark of the Vanguard]] is great for providing some extra protections so that you can engage without worrying as much about taking too much damage. I typically prefer this over [[Watcher's Gift]] on [[Sobek]] since you want to have an aggressive early game. [size=5][color=#00ff00]Item 1[/color][/size] [table][tr][td bgcolor=#00ff00 padding=1 width=705][/td][/tr][/table] [icon=Shoes of Focus size=50] [[Shoes of Focus]] are my definitive choice for my first item. They provide decent magical power and an essential 15% CDR that is incredibly important so that you can engage as often as possible. Their movement speed is also important so that you can rotate more often to have the most utility to your team as possible. Because of their cheap price, [[Shoes of Focus]] always take my first priority over a tank item. Oftentimes I'll write alternative options for an item selection in that item's section, in which case I'll do something like this. Shoes of Focus can fit your playstyle better if you want to have more cdr rather than power. If you think that you will likely want to be using your abilities more often, either offensively or defensively, these may be a better choice. [rule] [center][b][size=5][color=#FFEE5C]Item 1[/color][/size][/b][/center] [icon=shoes of the magi size=50] [[Shoes of the Magi]] is my preferred choice for boots with this build. They provide needed movement speed, mana, and good magical power. This extra power helps boost your burst potential as a mage. [icon=Shoes of Focus size=50][color=#FFEE5C][b]ALTERNATIVE[/b][/color] [[Shoes of Focus]] can fit your playstyle better if you want to have more cdr rather than power. If you think that you will likely want to be using your abilities more often, either offensively or defensively, these may be a better choice. I'll leave an example of the full items section for Sobek here. I had several builds and alternative options for him, so it really shows how in-depth an items section can be. Don't think that you necessarily have to have such a complicated items section though. Only use what you need! (For a more simple items section, just look at the "solo build" section). This section is built around the core builds above as well as situational items. Do note the first build is built around the role of a support tank, and thus contains items that may benefit your team more than you individually while the second build is for you as a solo laner and focuses more on your overall presence in the game. Enfeebling Curse reduces enemies movement and attack speed making it a great follow up to Charge Prey. It can also help you catch up to enemies that have moved out of the radius of Lurking In The Waters making it an incredible tool for your kit. I often like to start games with Creeping Curse as my starter active for great engages as the game starts. Hand of the Gods is often my second active with Sobek because it provides an easy way to take out jungle camps to help your teammates. Mid/late game Wrath of the Gods can be excellent for securing Gold Fury and Fire Giant. Make sure to upgrade this relatively early in the game if you decide to use it because Gold Fury usually begins to be contested before or after completing your second item. Greater Blink can greatly enhance your gank potential while rotating and can be useful for engaging enemies that are out of range of your pull. This item can also be fantastic for leaping into a teamfight with your escape intact, or even used as an escape situationally. Heavenly Agility is great if the other team has a lot of slows. It's great for pursuing and escaping just like Weakening Curse and Enfeebling Curse but doesn't offer their other benefits ie: attack speed and health regen reduction. I prefer buying this item over Winged Blade to counter slows since Sobek isn't reliant on his AA and because this benefits the whole team late game. Purification Beads can be essential for Sobek if playing against a team with a lot of hard CC. Do note however that this can be substituted for Magi's Blessing. Girdle of Support is a good active if you already have a way of slowing people (like Gem of Isolation) or just as an alternative. Its use is pretty simple and it's guaranteed to help your team in a teamfight. Shield of the Underworld is very useful if you're being singled out a lot. It also works great when paired with Hide of the Nemean Lion since you may be able to force an ADC to back off from you just through this active's use. Breastplate of Valor is my initial tank item of choice on Sobek. It provides great CDR as well as a huge boost in mana and physical protection. In contrast with buying Sovereignty first, Breastplate of Valor will allow you to use your abilities more often and have better mana and health sustain, while Sovereignty will give you more health allowing you to face-tank the enemy more and give more protections for your ADC with its aura. Buying Breastplate of Valor second is a more offensive choice and is my personal preference. Oppositely, purchasing Sovereignty second is a more defensive choice, but one that I still use depending on the situation of my current game. Having obtained some physical protection, Heartward Amulet is a great follow up providing health and magical protections, as well as an aura that helps your ADC box the enemy team's. It's aura is also more useful at this stage in the game since you will be engaging in more team fights and providing the aura to more people. Despite its nerf, Sovereignty is still one of the best support items in the game. It provides more physical protection and a magical protection aura, basically the counterpart to Heartward Amulet. The combination of Sovereignty and Heartward Amulet's auras gives your team much more defense in teamfights in general. If you don't want to play as aggressively earlier on, switching the order of Sovereignty and Breastplate of Valor is beneficial for more defensive play. This is probably one of the more controversial items in this build. Since you're playing a tank role, you're generally going to be in the center of teamfights. Building Void Stone will not only give you a bit of a power/penetration boost now that you've built protections (with Void Stone's magical protections rounding out your build), but it will also give any of your team's mages a penetration boost as well. The 6th item of your build should be whatever fits your current situation the best. It should be bought at the time it will benefit you the greatest, whether that's you 2nd or your 6th item. Below are some of my preferred picks for this item. Gem of Isolation's passive gives you a lot more control in a teamfight and helps to prevent enemies from getting away. It's also a great item because of its great power, health and mana, all of which help Sobek be more effective late game. Do note however that buying an active like Enfeebling Curse on top of this item can be a bit excessive, especially if enemies start counterbuilding items like Winged Blade. Witchblade is simply a good item to have against a team with a lot of basic attack users. It should probably be bought closer to the midgame and is most effective against gods like Bakasura and Artemis. Replacing Sovereignty with Witchblade is an option as well. Spear of the Magus isn't very viable competitively on Sobek, but can be a fun item to pop if you want to go for some kills while still being an effective teammate by further lowering enemies' magical protections. Pestilence is typically a useful buy when facing a lane with enemies like Aphrodite and Sylvanus. Do note however that this is still an optional buy since you can reduce enemies' healing with Sickening Strike. Stone of Gaia is useful if you want to level up Tail Whip instead of Sickening Strike for more damage. This item will give you the sustain to replace Sickening Strike's healing as well as some MP5 so that you can use Tail Whip more often. Do note however that this item's health is lackluster compared to your other magical defense options. Bulwark of Hope is definitely your best personal defensive option since it provides the best health, magical protections and passive for its cost. Do note however that this benefits your team less than Heartward Amulet and since your role is support, you really should be supporting your team as much as possible. I would only recommend Bulwark of Hope if you'll be dying too often without it to be of any use. Dynasty Plate Helm is a good replacement for Void Stone if playing against a primarily physical team. It essentially provides the same benefits (although it doesn't give your teammates additional penetration) but with physical rather than magical protection. Midgardian Mail is my preferred counter to enemies reliant on using Hastened Fatalis. Midgardian Mail's passive will essentially render this item useless since they will not be able to catch up to you while basic attacking. Mystical Mail is great if you decide to go full tank and not build any power items. Since you have so many slows and general CC, it's very easy to stick to enemies and deal the damage from Mystical Mail's passive for a long amount of time. Since the damage is constant, it won't scale with your power if you haven't bought any items (although it is affected by how much penetration you have). Mail of Renewal is essentially your alternative to Breastplate of Valor. Although it gives less CDR, physical protection and power, Mail of Renewal gives a ton of health and a useful passive. I would recommend this item if you plan on investing in less health but more protections later on, or if the enemy team has lots of penetration that will bypass your protections regardless. A good alternative combination is to buy Shoes of Focus, Mail of Renewal, and Spirit Robe since this will max out your CDR and provide a lot of health and protections as well as two useful passives. This alternative build using Reinforced Shoes and Spirit Robe rather than Shoes of Focus and Void Stone is for countering teams with large amounts of crowd control, especially during the early game. Late game this can somewhat be countered with Magi's Blessing, but this build will still be more adept at countering teams with large amounts of hard CC. Reinforced Shoes give you additional health and CC reduction compared to Shoes of Focus, but lacks CDR and has 10 less power. This will give you a more defensive early game, but leave you more prepared to handle hard CC in lane and later in the game. Spirit Robe works wonderfully paired with Reinforced Shoes. Its CDR maxes out your stat at 40% in place of Shoes of Focus and its passive makes you extremely resistant to CC combos (especially working alongside the passive from Reinforced Shoes). Despite this, I still prefer to buy this item later on since you really need to complete Sovereignty and Heartward Amulet to get the auras for your teammates before you start investing in your own protections. It's best used to replace Void Stone as your 5th item, but take note that you can still buy Void Stone as a 6th item regardless. Vampiric Shroud is great for providing some extra health so that you can clear without worrying as much about taking too much damage, as well as some additional sustain. Mark of the Vanguard leaves you with less mana sustain, but much more tanky allowing you to take more damage clearing waves early and not have to worry as much about using your mana to heal up. This item is useful against enemies that are capable of safely dealing damage to your early on and can help you if you're getting poked out of lane. Shoes of the Magi are my preferred choice for my first item as Solo-bek. They offer essential movement speed, power, penetration which greatly helps your base damages, and mana which Sobek is incredibly dependent on. Shielded Teleport is essential for pressuring your lane as Sobek in the solo lane. This item not only gives you the extra sustain and lane pressure from returning to base more quickly, but it also allows you to rotate from solo island later on to help in teamfights, and helps you move around the map later in the game. This item is a must have. Because in solo you pack greater power, I greatly prefer Greater Blink over other actives. It can allow you to close in on an enemy incredibly fast, leaves your Charge Prey at the ready and overall gives you incredible engage potential. Enfeebling Curse reduces enemies movement and attack speed making it a great follow up to Charge Prey. It can also help you catch up to enemies that have moved out of the radius of Lurking In The Waters making it an incredible tool for your kit. Its attack speed debuff is also excellent for reducing damage from warriors, hunters and assassins. Weakening Curse is the same as Enfeebling Curse, only reducing enemy's healing rather than attack speed. This item can be great for countering solo laners dependent on their healing to survive. Breastplate of Valor is my go-to second item against any physical solo laners. It provides awesome CDR, mana and physical protection for a cheap price, giving you everything you need to sustain your lane and reach mid-late game where you can begin to wreak havoc. Alternatively, if you're playing against a magical solo laner you may want to go with Ethereal Staff first. If you're losing lane to a mage or guardian, Heartward Amulet is your best option. It has essential MP5 and gives you an awesome amount of health, magical defense and some physical defense. This item does not REPLACE Breastplate of Valor, only its spot. You should move up every item of your build one place. Do note however that you will need to speak to your support before building this since its aura does not stack, so having more than one per team can be less than preferable. If you're losing lane to a mage or guardian and are unable to go with Heartward Amulet due to not being able to negotiate with your support, Void Stone may be a better purchase since it gives such a power advantage to the user. Like Heartward Amulet, this item does not REPLACE Breastplate of Valor, only its spot. You should move up every item of your build one place. However, this item gives you less of a presence late game and should usually be sold for Spirit Robe if the game progresses to that stage. If you're losing lane to a healer such as Hel or Chang'e, Divine Ruin may be a situationally better purchase since it gives allows you to cancel out their healing. Like the previous alternatives, this item does not REPLACE Breastplate of Valor, only its spot. You should move up every item of your build one place. However, this item gives you less of a presence late game and should usually be sold for Spirit Robe if the game progresses to that stage. Alternatively you can also buy Weakening Curse to counter healers rather than Greater Blink. Ethereal Staff gives you an fantastic amount of health and mana as well as some power to boot. This item will give you the perfect blend of tanky power to annihilate your enemies while preventing them from bursting you down. Gem of Isolation can provide you with more power and utility than Ethereal Staff, at the cost of some health and mana. In some situations this can be better, especially if your team lacks slows. Otherwise, this item lacks statwise in comparison to Ethereal Staff. You can also accomplish a similar effect with the Creeping Curse active rather than blink. Mystical Mail provides you with more essential physical protections as well as health and a passive that does damage over time. Since Sobek is so great at sticking to people, this passive actually does an incredible amount of damage that can be used to your advantage. While this item is better earlier in the game, Sobek suffers too much from mana deficiency to really take advantage of it until 4th item. Being a tank, Sobek has to get his damage from more than just his base damages. Soul Reaver does just that, giving him a passive that will allow him to chunk enemies' health at any appropriate time. To use this item to its maximum effectiveness, you should make sure not to waste its passive poking the enemy. Avoid this at all costs. Spirit Robe is the final piece that ties your whole kit together. Its combined defenses as well as its CDR and passive allow you to aggressively stay in the middle of teamfights, utilizing your abilities as often as possible and being as unaffected by CC as you can without beads or aegis. If the other team builds incredibly tanky, it may be to your benefit to build Spear of the Magus. This item will give you the appropriate penetration to still do damage to them, at the cost of additional tankiness and CDR. Only use this item if you have to. For warding I use one basic template. You will need to create your own images of where to place wards for whichever position / map you need warded. This is an example template for where to ward when playing support in Season-2. These are wards you must buy to have eyes on enemy assassins that try to gank from the three entrances to your lane. Make sure to make these wards a priority while warding since it will be risky to go anywhere up lane without them. This ward is good to have if it is unsafe to place the upper ward on your lane. The upper lane entrance is still unwarded, but if you're being forced to play so defensively that you are unable to place the upper ward, this should rarely matter. Ideally your mid laner or jungler will place these wards, but this is not always the case. These wards notify you when enemies are going for mid camps or ganking middle lane. This will allow your mid laner to better anticipate ganks and allow your team to contest the mid camps better. Alternatively, placing the ward directly in front of the harpies will let you know when they spawn, but will not always let your mid laner know when the other team's jungler is coming to gank. These wards give your team much better tabs on the enemy jungler. These should usually be used if their jungler has become a serious problem, otherwise most other wards will take priority. Warding GF becomes essential after people start to reach ~level 10. It is best to use a Sentry Ward on GF, but it is acceptable to use a regular one as well. Try to always have eyes on the GF, if your ward goes down, it is likely that the enemy team is going for the objective. These wards are the best way to secure GF and FG. Placed in front of each objective, these wards give you the best view of the fire giant and gold fury and are the best for counter warding against the enemy team. These wards give you better eyes on the enemy movements and are less likely to be taken out by enemy Sentry Wards (they themselves can be either regular wards or sentry wards). This can allow you to surprise the enemy team after they believe you have no eyes on the objective. However, these wards are risky since you sacrifice direct vision on the objective. These wards allow you to push safely by watching both objectives and enemy movements. These wards are a minimum for pushing safely, even with other members of your team. These wards will allow you to push more aggressively by watching both the enemy entrances into the jungle. You will be able to fully monitor the enemies' movements and take advantage of lone members of their team. Warding this far into the enemy side will notify you the second enemies enter their jungle and once again allow you to take advantage of any enemies that are venturing alone. These wards are really only useful when going for enemy phoenixes. They'll let you know if enemies are trying to flank you and better anticipate how to approach them. For gameplay I usually split up into 3 chapters, Early Game, Mid Game, and Late Game. For each chapter I'll write a description of what to do during that stage in the game. Depending on how in-depth you go, you may want to divide it into additional sections (eg: in early game you can divide into start, laning and ganking, mid game you can divide into laning, ganking and teamfights, etc) and possibly write a summary at the end. I'll leave an example of my basic Late Game template for Chang'e here. 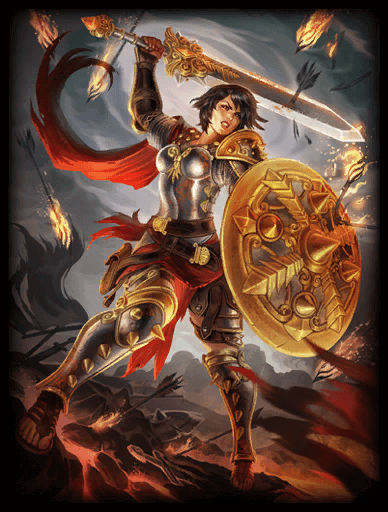 For match-ups I use one basic template, in this case I'll be using Bellona's. You may only need one section depending on how varied your lane is (eg: solo lane has many matchups, while Mid has fewer). For conclusions I use one basic template, in this case I'll be using Bellona's. *Note: I typically use the original card art in my introduction and a god's recolor in my conclusion. It's a nice way to be consistent and gives a sense of unity to your guides. For other guides I use one basic template in all cases. It's easiest to copy paste this section to be the same in all of your guides. *Note: You will need to adjust the column widths every time you add a new guide. If you fiddle with them you can get all of your guides centered and evenly spaced. So I'm sure by now you've noticed the headers I've put at the top of each section. These were made entirely out of bbcoding tables and can add some flare to your guide. I've made them in all colors of the rainbow, (some turned out better than others). You can of course modify the colors using hex colors yourself to try to get them more to your liking. Sites like this can assist you in this task. Recently it seems that users have taken a liking to keeping their table of contents accessible at the bottom of each section. I think that depending on the length of your sections, this can be a useful navigational tool to add to help make your guide more easily navigable. In these templates I link text to each section of a guide. To link to a section you can use a goto eg: [goto = chapter1] that links to an anchor. Each section you create automatically generates an anchor called chapterX with 'X' being the number of that section in order (it also corresponds to the number next to it in the automatically generated table of contents). *Note: To change the colors of this particular navigation will require you to fiddle with the hex colors. Sites like this can assist you in this task. Additionally, changing the number of sections may require you to change the td width, be forewarned. I don't know why, but when reading I totally skipped the Accessory section for some reason. EDIT: Ok I read the section, and it is clearly explained what are those b's. However, I would suggest to put that text more apparent, as I find it easy to miss. 105305 Bullfrog323 Oh ... my bad. I don't know why, but when reading I totally skipped the Accessory section for some reason. It's cool then, more reading to do :) Wonderful guide of course EDIT: Ok I read the section, and it is clearly explained what are those b's. However, I would suggest to put that text more apparent, as I find it easy to miss. Do note: for the coding sections, code blocks do not show new lines, so these will be indicated with a b (ie: line break). To get the same code you see here, just delete the b's. This code is taken from the section "Template - Introduction / Template 1 / Code", but it happens often in your guide. I noticed that there are often lines with only a "b" character. I think it's supposed to mean an empty line. I was wondering if that is the right way to do it, or if it is an output mistake ? 105289 Bullfrog323 [spoiler] [quote] [code] [center][h1]Welcome to my guide for Artemis, Goddess of the Hunt! [/h1] I am a casual player who primarily plays conquest. [[Artemis]] remains my favored adc by far, thus this is a guide for Artemis in the duo lane. b [color=#007F26]Do note[/color]: there are two builds above. The first is for the Season 2 item set, while the second is in memory of Season 1. b This is my fourth smitefire guide, and I intend to update it, so feel free to comment things that should be added/edited. b b [h2]Regardless, lets move on to the boar herder herself, Artemis! [/h2] [img]http://www.smitefire.com/images/god/card/artemis.png[/img][/center] [/code][/quote] [/spoiler] This code is taken from the section "Template - Introduction / Template 1 / Code", but it happens often in your guide. I noticed that there are often lines with only a "b" character. I think it's supposed to mean an empty line. I was wondering if that is the right way to do it, or if it is an output mistake ? Wow Zilby! Quick and good work! You have all the useful info here, your work will certainly be seen in the future guides. And yeah, we still need a guidecrafting guide, I gave a really brief overview of each section, but this guide is really more on just how to use the templates than anything else. This is going to definitely help in getting SF the respect it deserves. Upvoted. 105102 Stuke99 This is going to definitely help in getting SF the respect it deserves. Upvoted. After mulling it over and going through it, I'm not going to go super in-detail with what sections are required for a full guide and what are required just for a build guide. All that extra writing adds a lot of bulk to the guide and strays from its main purpose, which is just to provide a template for guides. I'm just going to write in the Essentials section which sections are necessary for just a build guide. *edit: finished doing stuff mentioned above, also added a section for the headers I used in this guide, and edited the code so that it indicates empty line breaks with 'b' rather than not showing them at all. 105093 Zilby After mulling it over and going through it, I'm not going to go super in-detail with what sections are required for a full guide and what are required just for a build guide. All that extra writing adds a lot of bulk to the guide and strays from its main purpose, which is just to provide a template for guides. I'm just going to write in the Essentials section which sections are necessary for just a build guide. *edit: finished doing stuff mentioned above, also added a section for the headers I used in this guide, and edited the code so that it indicates empty line breaks with 'b' rather than not showing them at all. @Devampi, I'll change essentials and accessories and break them into the 3 sections you described. I'm not going to mention different game modes and such simply because I can leave it as "and whatever else you can think of." If you're doing a guide that's that in-depth, you probably know what you're doing. Nice, Z. Should make it helpful for newer BBCoders to get in the visual game, and of course, your general format for your guides is super solid. FYI, you probably noticed, but you've got a lot of incomplete [/center]s in the summaries at the tops of many sections. 105090 Branmuffin17 Nice, Z. Should make it helpful for newer BBCoders to get in the visual game, and of course, your general format for your guides is super solid. FYI, you probably noticed, but you've got a lot of incomplete [/center]s in the summaries at the tops of many sections.